In April 2005 Pujya Swami Tejomayananda inaugurated Chinmaya Mission Singapore's new centre and named it 'Chinmaya Kesari'. The word Singapore means the 'City of Lions'. In Sanskrit, 'Kesari' means lion and Vedanta is considered the lion among all knowledge, Vedanta Kesari. It was said that Pujya Gurudev roared and thundered like a lion. Guruji blessed that Chinmaya Mission Singapore become a powerhouse of spiritual power. 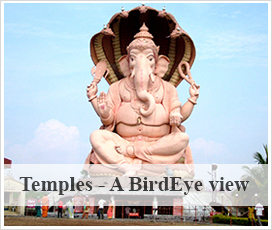 In this centre entered Radha Krishna to bless the devotees in becoming spiritual powerhouses. 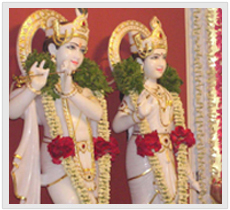 These most enchanting idols made of white marble were installed by Swami Swaroopananda on Janmashtami 2006.